Press Release (ePRNews.com) - CARLSBAD, Calif. - Jan 22, 2019 - NOTE: This October SPS was originally published online in October 2018. Whenever you talk to CARSTAR operators, you can always guarantee that they will know their important numbers right and left, inside and out, and have them at their fingertips. So when we interviewed Justin Fisher, owner of CARSTAR Yorkville, located roughly 50 miles west of Chicago, it wasn’t a surprise that it was a painless and highly informative conversation. Two years ago, we were averaging 90 cars monthly, then last year it went to 94, and this year we are on track for 102 vehicles monthly. In sales numbers, that means that we’ve added almost $400,000 in total revenue, and much of that is contributed to adopting Spies Hecker, which is exceptional. Justin, 36, has only been in the collision repair industry for six years, but knows more than most shop owners who have dedicated their entire lives to the business. He credits much of that to the CARSTAR system, which trains its people its way and makes education and training a priority. By working with his father, Dean, for 11 months before he was hired as the MSO’s COO, Justin has been able to excel in a competitive market and grow every year. His dad founded the business in 1976, and Justin acquired it from him in 2014. 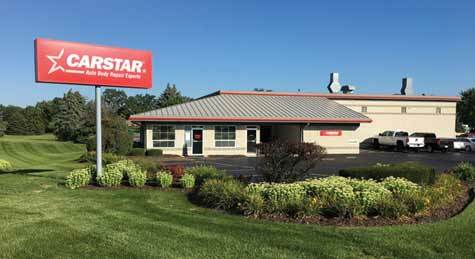 CARSTAR now features more than 600 locations in North America; much of that success is credited to the systems that the company utilizes to fix cars and provide both its DRPs and customers with excellent service. “CARSTAR’s Operations platform is called EDGE Performance; all of our operators go through it,” he said. “There are multiple tiers and training mechanisms within the platform, allowing it to provide a high level of uniformity throughout the entire organization. They set us up for ongoing success and make us stronger across the board. There are several resources throughout the zone structure within the U.S. organization to gain competitive advantages in insurance relations, marketing and operationally. To paint more than 100 cars every month, Justin has been using the Spies Hecker® Permahyd® Hi-TEC paint system since November of 2016, a highly productive waterborne paint. The shop has been spraying a waterborne product for more than a decade, but this one is a completely different type of paint. Justin is delighted with the results for a wide range of reasons, he said. Since the shop is always looking at its numbers, Fisher can clearly see that Spies Hecker is looking good and improving his stats year after year, he said. “Two years ago, we were averaging 90 cars monthly, then last year it went to 94, and this year we are on track for 102 vehicles monthly. In sales numbers, that means that we’ve added almost $400,000 in total revenue, and much of that is contributed to adopting Spies Hecker, which is exceptional,” he said. Using a paint system that benefits his production in many ways allows the shop to succeed even when things get really busy, Fisher said. “We’re getting the cars out faster, which eliminates bottlenecks, increases our car count and shortens our cycle time, so we’re benefitting across the board. It’s helped us with our DRP relationships because we’re able to meet their needs, and they can see it rather clearly,” he said. Backed by strong support through a fantastic relationship with his Axalta contact and tapping into the manufacturer’s outstanding and convenient training, CARSTAR York- ville is hitting on all cylinders with Spies Hecker.